Published by Enough is Enough. Written by Riot Turtle. Images by @sol2refugees . Video by Arash Hampay. Hundreds of locals, refugees and refugee supporters from various countries protested against the fascist violence, many people were injured by fascists during the attack in April. 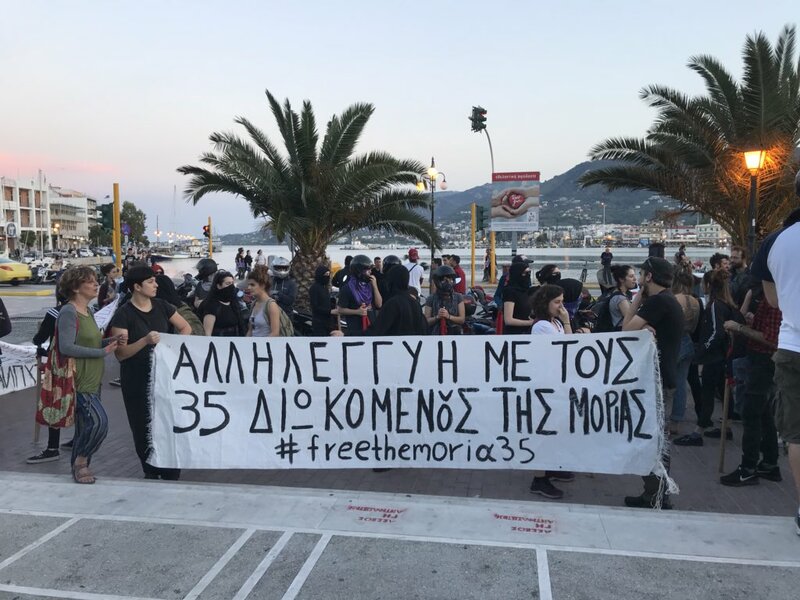 People also called for solidarity with the Moria 35, 26 of the 35 remain detained – 7 face imminent deportation. Greek cops arrested about 120 refugees after the fascist attack on April 22. By arresting those who were attacked and not the attackers, the cops also cracked down (for the moment) refugee protests that were fighting for the freedom of movement.